In our last blog we looked at Amazon and their leap into making content for their TV arm Love Film. This week we had an announcement from one of their competitors Netflix. 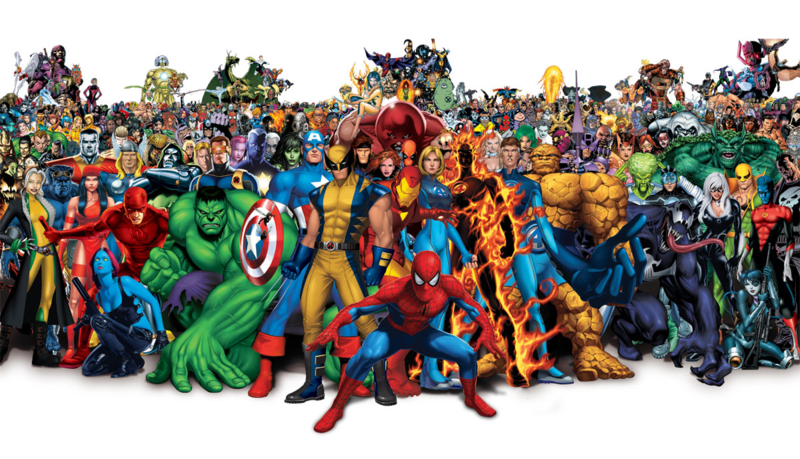 The deal involves Marvel and centres around four established Marvel comic heroes that will all have their own series with them coming together for a final series. In very much the same as Marvel have done with the Avengers. There are loads of articles that have been written already about this and the fans have reacted with excitement. But as Guardian writer Brian Moylan (Read the full article: www.theguardian.com/film/2013/nov/08/marvel-netflix-universe-daredevil-l... ) notes will this growing interwoven nature of stories reduce the gateways into these stories and ultimately will people be turned off? will these TV series like comics only appeal to a small group of people when the aim is to become enjoyed by the masses? Within this there are some really interesting questions raised around how we look at digital content for the future, and how we understand whether the content is or will be successful. Over the last year I have become a binge watcher of tv. I can finally admit that publicly. It started with LOST and has moved onto 24 more recently. LOST was consumed via DVD box sets and 24 was through Netflix. What I found from doing this is that I consumed the content in a very different way to how it was thought or created. LOST and 24 were never made to be watched back to back. Yes there is the DVD box set for the series but they were setup to be delivered on a weekly basis. The consumption of a series in a few days is now possible and an entire set of series can be viewed within months. So the question is while things are always going to be judged on initial episodes are we looking now at also judging series after they have aired? Also will digital connections allow audiences to watch the series in different ways? Can the audience member for example watch multiple series in a chronological order as opposed to following a particular hero series? Along with this question can the audience be given the opportunity to help create, advise and share the story? Just like Dickens adjusted his weekly stories because of audience feedback. Can Marvel adjust depending on what people feedback? I think both these elements have a huge body of research to investigate and with technology as an enabler. companies could bring this type of flexible working to their brands. In simple terms innocents competition to create your own smoothie and then get it manufactured are the same thing as this type of thinking. Yet I wonder if there are even further opportunities for the future.